In case you have a scholarship an education program or a hiring process where you need to select some of the huge numbers of applicants, IT-Blocks provides a unique service of managing the selection process including registration, filtration, testing, interviewing, receiving supporting documents and placement and distribution of accepted applicants. IT-Blocks has a unique product – Corsat Applicants Selection System – to manage and operate this process. IT-Blocks provides the application in the form of software as a service as a part of the providing the whole selection process itself. This service was used many times by different customers such IBM, Orascom Technology Services, Ministry of Communication and Information Technology and the Supreme Council of Universities. Online testing is one of the niche services that IT-Blocks provides in the regional market. Excelling on its online testing platform CORSAT Quiz Facility, IT-Blocks has been providing its customer with the service of managing those tests including design, registration, conducting tests and testing results reporting. IT-Blocks has managed more than 120,000+ tests during the period 2002 until 2013 for different customers in the region including MCIT, IBM, OTS, and GBM. As a complimentary service to running and operating tests, IT-Blocks produces content for the Question-banks of different subjects to help customers run their tests in a more efficient way. Using our IT background and experienced professionals, IT-Blocks has been specialized in providing question banks to various IT subjects and fields. Besides, we have been delivering question banks to other fields too such as IQ, English and general knowledge. 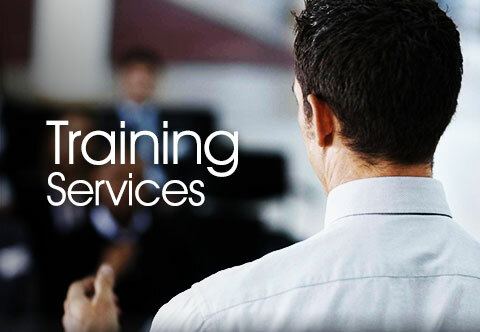 IT-Blocks has built a wide experience in managing Training Programs, through its partnership with IBM and other leading training partners in the last few years. Building on this experience IT-Blocks offer its customers different Training Programs Management Services, including program design, providing instructors, training administration, and others. In 2008, IT-Blocks was selected to be the Intel Regional Training Agency for Egypt. IT-Blocks is responsible for implementation of Intel education programs in Egypt namely Intel Learn, Intel Teach, ISEF, Entrepreneur program and Easy Steps. please click here for more details on Intel training programs operated by IT-blocks in Egypt.